The beer is made by tapping the birch trees from a stand that grows in the general vicinity of Dawson City. There are about 1,500 trees that are tapped in this stand. About 1,000 trees are tapped into buckets, and 500 trees into a tubing system. These buckets need to be emptied every day that the sap is running, an onerous task without doubt. After the sap is collected, it needs to be boiled to drive off some of the water – it takes 80 litres of sap to make one litre of syrup. This is done out in the woods, since the stand is rather remote and it makes little sense to haul out water that you can evaporate on site. The sap/syrup that we use is not fully boiled down to the consistency of table syrup, which is why we are not really sure what to call it, sap or syrup. Really, it is at a midpoint between the two. Thanks to the hard work of Berwyn and his family and friends, we end up with access to an extremely unique ingredient, and we are pleased beyond words with the flavour that it imparts to the beer. Due to the nature of an ingredient as natural as birch syrup, every year we get slightly different results, flavour-wise. This year’s version, Up The Creek, has a wonderful mix of sweetness and tartness that makes you want to follow the first glass with another (and at a respectable 5.0% abv, you can probably do just that in comfort). This beer is not about the malts and not about the hops – it is about the birch sap and its unique character. Think full bodied honey ale, without the same sweetness as honey and with a large dose of birch zestiness. Or don’t think – just try some. 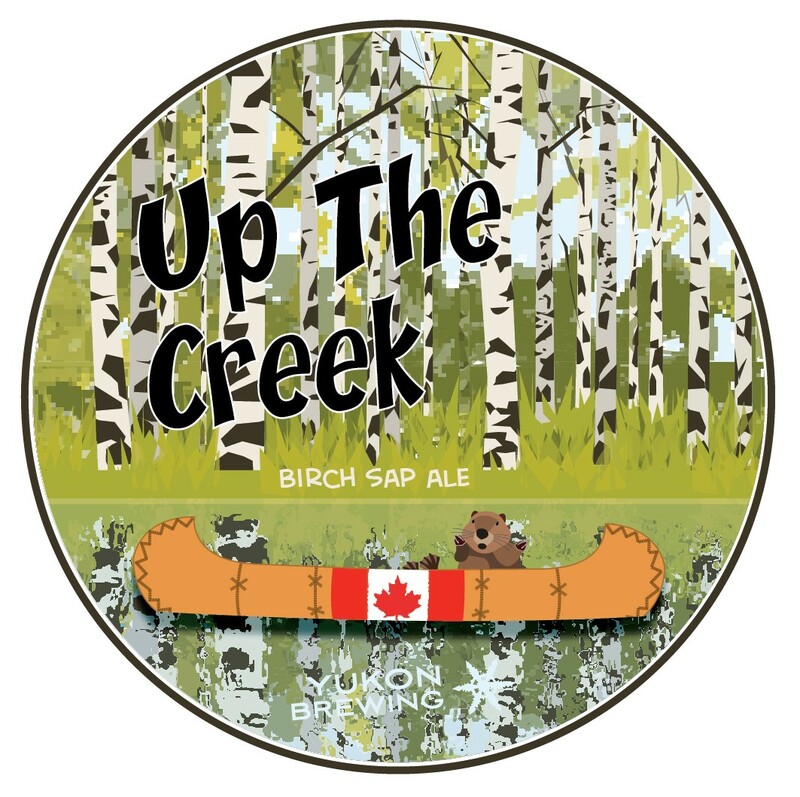 Up The Creek is available at the brewery in growlers, as well as in 650 ml bombers in Alberta and the Yukon. You will also find it at select bars in the Yukon, as a Special Release draught product. Hi Sandra, send us an email at greatbeer@yukonbeer.com and we will be happy to help you out with what we have in stock! The “Up the Creek” was a limited edition release! But we do have some fun beers coming out this year for our 20th Anniversary!